'Dikaya Pchela' Дикая пчела (Olga Riabykh, R. 2013). Seedling# 9502-3. TB, 35.5 (90 cm), Early midseason bloom. 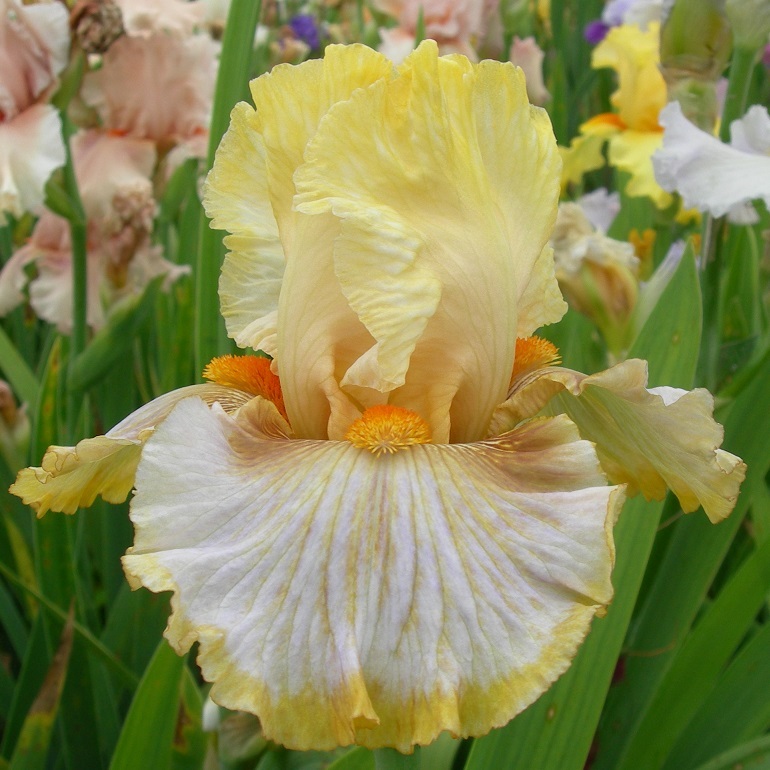 Standards light mustard; style arms light yellow, mustard at edges, yellow crests; falls mustard streaks on light lilac, mustard rim; beards orange; ruffled. 'Zhioltaya Orkhideya' X 'Mood Swing'.